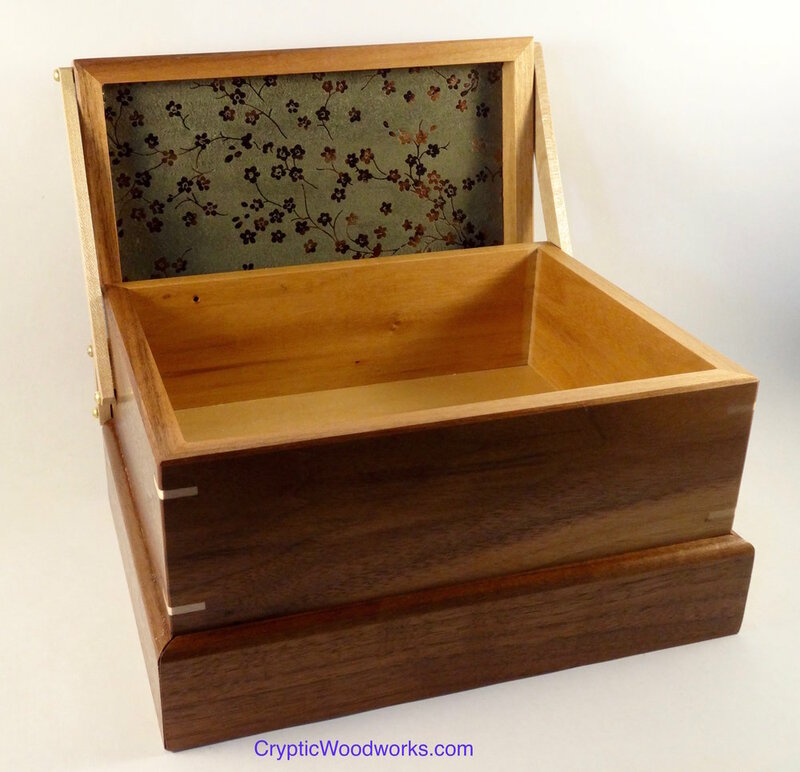 The same box as done before but this time sitting on a another small box that contains a spring open drawer. The mechanism that control the opening of the lid is a bar linkage. The two linkages on each side allow the lid to rotate up to a vertical position and then stand straight behind the box. Not chain or stay is needed to keep this lid open. The drawer, which looks hidden, is activated via a switch in the front inside of the box. Simply pull the little catch up and the drawer pops open. The springs were adjusted so that the drawer will open a bit, but not jump out of the box. A slight bit of hand pressure will close the drawer and re-latch it automatically. The boxes are made from reclaimed walnut beadboard, which means there may be slight imperfections left over from this wood's past life. The inside of the lid and bottom of the drawer have a fabric lined card. The finish is Danish Oil and Shellac followed up with paste wax. 12 of these were made, numbered 1-12. Each box has a removable set of dividers that are perfect for holding tea bags in foil packs. The dividers were made from some wormy and spalted maple and have some great figure along with nature added imperfections (worm holes and grooves). The overall box is 10 1'4" long, 8" deep and 6 1/" tall. The top of the box is the same as the one above. 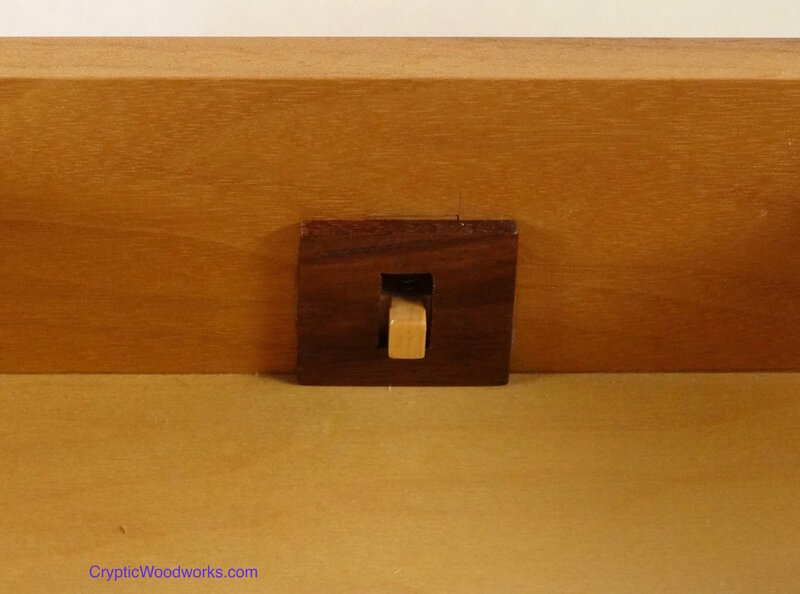 The inside of the drawer is 8 3/4" long, 5 3/4" deep and 1 1/2" tall. Weight is a little over 1 lb.